Kids Play’s Zorb Balls come with (2) 9ft round clear Zorb Balls. Each one handle a bodyweight up to 200lbs. There also come with a 75ft long inflated kriss cross track and a attendant to help. 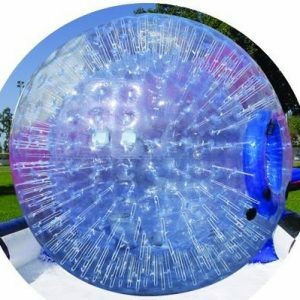 These massive zorbs are tons of fun, and come with a attendant to help assist with the experience.